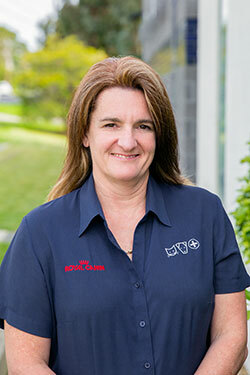 Dr Doyle is one of the senior partners of the Northern Suburbs Veterinary Hospitals and has been practising at the Greensborough Veterinary Hospital since 1991. Dr Michael graduated with Honours from the University of Melbourne in 1982. 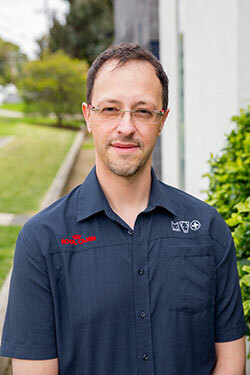 Since then he has gained further qualifications in small animal surgery with the Australian College of Veterinary Surgeons; a Masters in Veterinary Studies in Small Animal Medicine and Surgery in 2005; and become a Penn Hip Certified Radiologist in 2006. 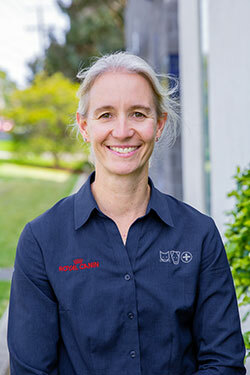 He also is a senior Fellow and Academic Associate with the University of Melbourne, Veterinary Faculty. Michael’s interest outside of work include, travelling, dining, cycling, movies, renovating houses and cooking, as well as being a passionate Carlton supporter. 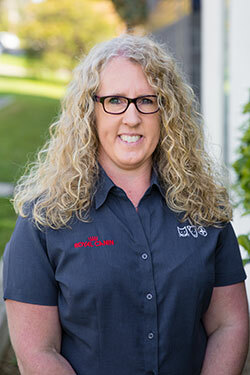 Dr Rachel McCue began visiting us as a science student before transferring into Veterinary Science and graduating with Honours from Melbourne University in 1998. Rachel then began practising with us immediately upon graduating on 7/12/1998. We were not to know then that she was to eventually become a partner. In December 2003 Rachel resigned and travelled with her husband around Europe basing themselves in England. Rachel did locums in the area gaining great experiences and learning more about pocket pets and the options in treating different cases. In England many clients have pet insurance making treatment a lot easier financially. In December 2004 we received a phone call and Rachel returned to our practice as at the time we had a vacancy for an experienced surgeon. Between 2006 and 2009 Rachel worked part time due to the arrival of her children Will and Hanna. 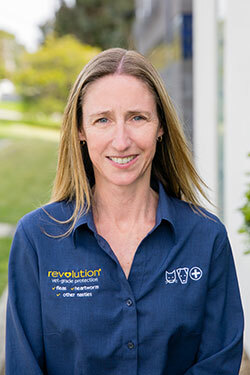 On 1/7/2010 Dr.Rachel McCue became a partner at Northern Suburbs Veterinary Hospitals. 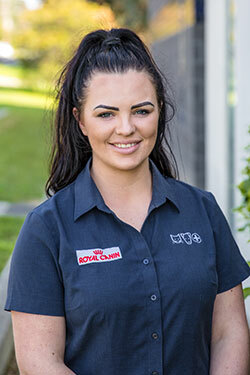 She has been a calming influence amongst “the blokes” and has a large following of clients due to her great repore with people and her vast knowledge. If there is ever any spare time Rachel follows the mighty pies with gusto and she is up to date with most sporting events. She enjoys getting to the beach with the family and most types of activities from swimming to cycling. At home Maisy the Jack Russell is the family pet which Rachel actually vaccinated in a consult and made enquiries as to whether the pups were looking for homes. How lucky was Maisy! Dr.McCue consults at our Rosanna clinic four days per week. In January Srdan decided after being with our practice for 5 years since emigrating, it was time to experience his professional life in a new practice. This meant saying good bye to the friends he had made with staff and clients during his time with us. Courtney Baker comes to us as a mid-year 2016 graduate from Charles Sturt University in Wagga Wagga. Courtney grew up in NSW going to school in Toronto while living in Kilaben Bay a few kilometres away in the Hunter region. 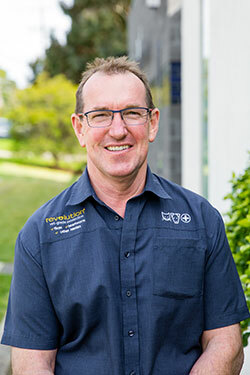 After many years of study, Scott Roberts, a local, graduated from Melbourne University in 2016 as a Doctor of Veterinary Medicine. The new title of DVM has been introduced superseding the BVSc title. Upon graduation, Scott began with us here at Greensborough in December 2016. An enthusiastic, new graduate with a passion for animal welfare that is growing professionally within a team. That is how we would describe Dr Annie Tao who graduated from the University of Sydney in 2016. 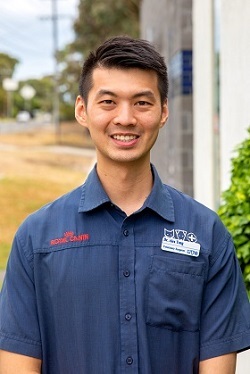 A new addition to our team is Queensland 2018 graduate Dr.Alex Tong. Alex has been educated around the world. He was raised in Hong Kong, obtained his Bachelor of Natural Sciences in London, did an Emergency Centre Externship in Los Angeles, studied Ophthalmology in Illinois and finally completed his Bachelor of Veterinary Science in Gatton, Queensland. 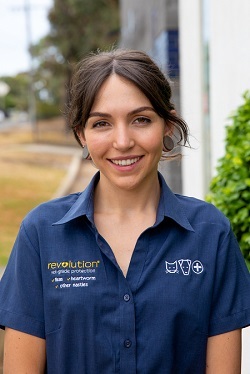 Dr. Kiara Simonis graduated in 2018 from Melbourne University, with the title of “Doctor of Veterinary Medicine”, where in the past, graduates were recognised with a “Bachelor of Veterinary Science”. Kiara grew up locally in Keilor Downs, this has allowed her to have great family support whilst studying at Melbourne University. 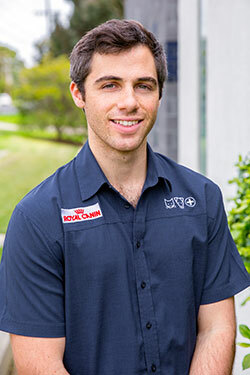 Local boy Ryan grew up in the north eastern suburb of Ivanhoe, where he was also educated. 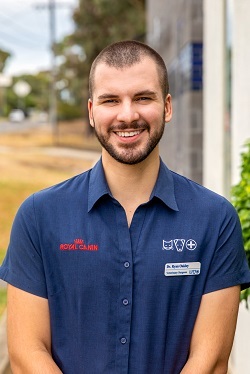 He graduated Dux of his year and followed up with a Bachelor of Science which gave him entry into Veterinary Medicine at Melbourne University. Way back in June 1989 a young local girl started working part time at our Rosanna Veterinary Clinic. This is when Nicole Green’s Veterinary Nursing career began. 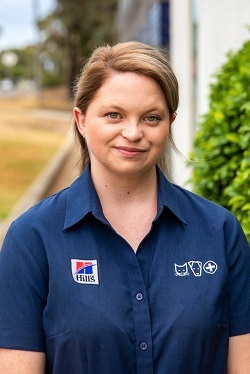 Mandy has held the reigns as joint Practice Manager at the Northern Suburbs Veterinary Hospitals for some time. 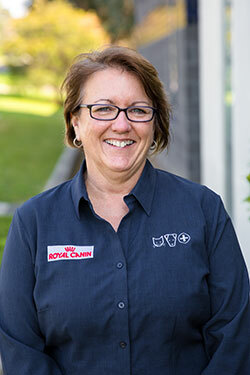 She achieved her Certificate of Veterinary Nursing pre 1989, had time off to begin a family and then worked her way up to her current position. 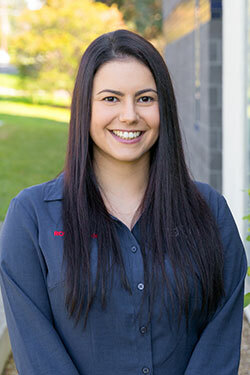 Our Receptionist is one of the first faces you will meet or speak to when you visit the Greensborough Veterinary Hospital. 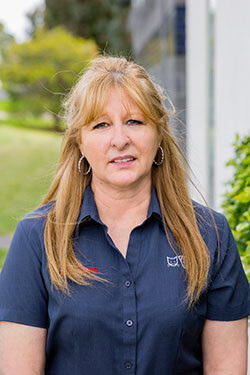 Tricia has been part of our team at Greensborough since 2005 after spending many years in office administration. 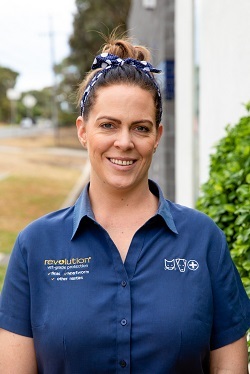 One of the first faces you meet upon entering the Greensborough Veterinary Hospital is Tracey Collins our Receptionist. Tracey joined our team in August 2010. She came to us with a wealth of experience in office and reception management. We have a dedicated, experienced nurse/receptionist within our team that has actually been employed by us four times. In 1998, in our old building, Julie Kruger came to us with an administration background looking for new experiences. Congratulations to Breannan Warren, known as Bree to us, who has just celebrated her first year with our hospital. 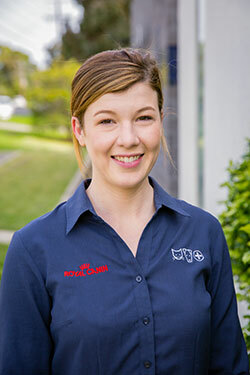 Bree grew up and was educated in the Eltham area, so knows many clients that come in to visit us. The smile is infectious. That’s our nurse, Julia who began with us in April 2016 as a first year Veterinary Nursing student. 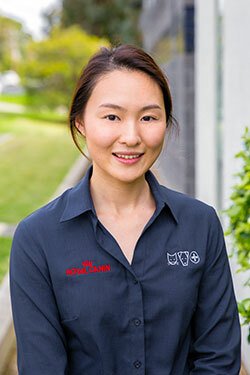 Prior to this Julia had held a position in a private practice in Melbourne where she obtained her Certificate in Companion Animal Services. We may just have found the next nomination for Veterinary Nurse of the Year. 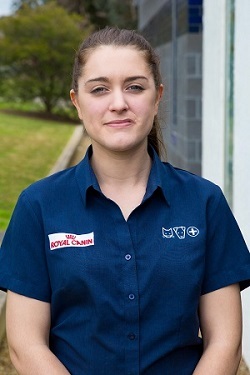 Gemma Edwards come to us as a Trainee Nurse from a specialist veterinary clinic. At this clinic, she was exposed to a high volume of surgical cases. This has meant her skills in monitoring and observing patients is that of an experienced nurse with an understanding of the requirements of the patient and surgeon. That’s what we call this rocket of energy. 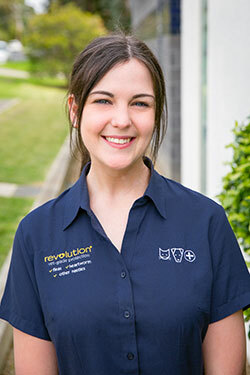 Jaclyn Behan started with us in April in the role of part time veterinary nurse. She has proved herself to be an asset to our team and is now employed full-time. Jacquie is currently on Maternity Leave. We would like everyone to meet our new groomer Jacquie. Jacquie comes with the approval of Amanda, our retiring groomer, who spent many days overseeing that Jacquie would look after her clients to a similar standard of care. Every so often we have someone join our team that exudes personality. This is our new groomer, Davina. She walks into a room with positiveness and smiles which flows onto others. Every morning she is bursting with energy. We hear from many ladies that begin their nursing certificates but require hours in clinic to complete their qualifications. This is how we met our nurse Kelly. 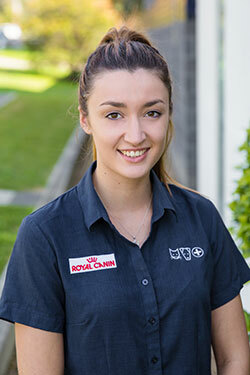 She was studying through the Australian College of Veterinary Nursing and came to us on placement.